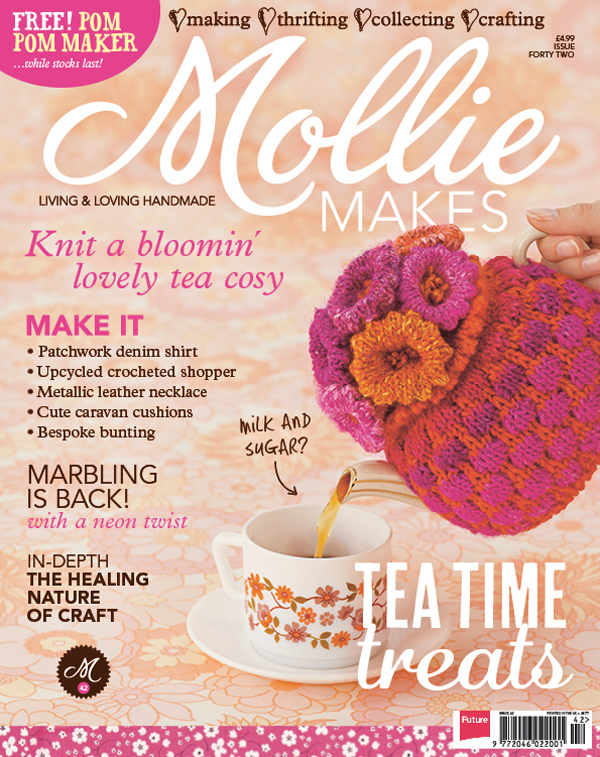 The latest issue of Mollie Makes goes on sale tomorrow and I already know it’s going to be my favourite. I know this because I have my very first craft project published within its pages! So welcome Mollie Makers and thank you to the team for commissioning my project. You can grab your own copy of Mollie Makes 42 in your newsagent or online. In this post you will find all of the instructions for making this banner and print using a Cricut Explore along with the templates for the lettering and hand. If you want to know what the Cricut Explore is and why I love it, check out my post. Let’s get started! 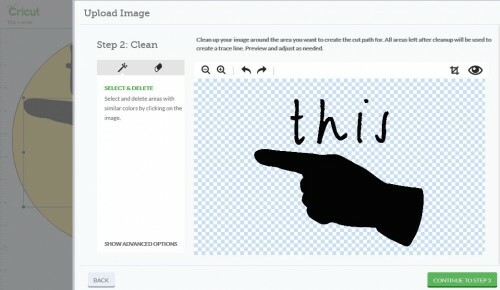 Open the Cricut Design Space, start a new canvas and click upload. 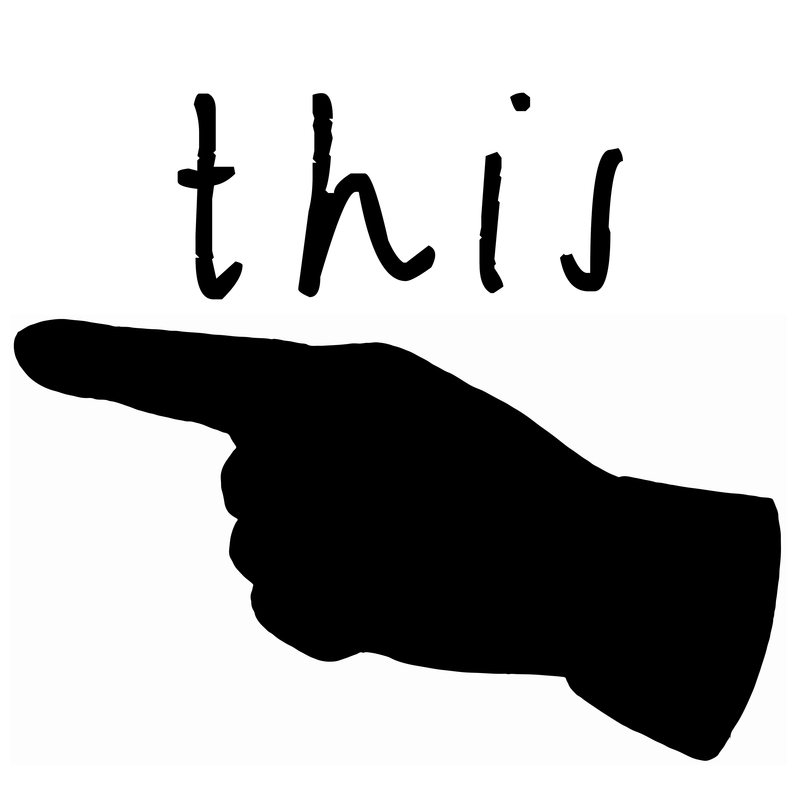 As this project is a PNG, select basic upload. 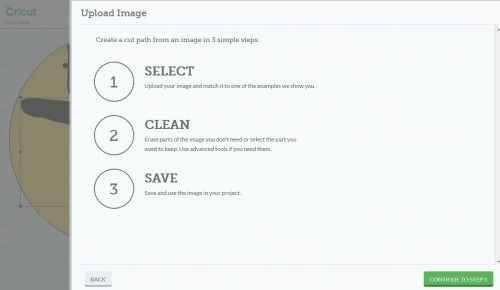 The next screen you see lays out the steps of importing an image, click continue. 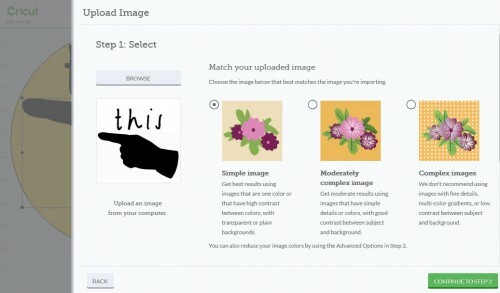 To upload your image click browse and locate the image files on your computer. Next select the level of detail the image contains. As these projects are bot silhouettes select simple. Now you will see your image laid out on a chequered pattern, this pattern shows the areas that are transparent. You want your cut out objects to be solid and the areas to cut away to match the background. In this project one click with the magic wand will turn the white into transparent. Other projects might need more cleaning. You can zoom in to work on fine details if you have an image with lots to cut out. This screen also allows you to crop and rotate the image. Once you are happy that you have successfully cleaned the image click continue. You come back to the upload screen. Here you want to click the image/s you wish to work with so they have a green tick in the corner then click insert images. From here you’re able to size and add to your image before sending it to cut. 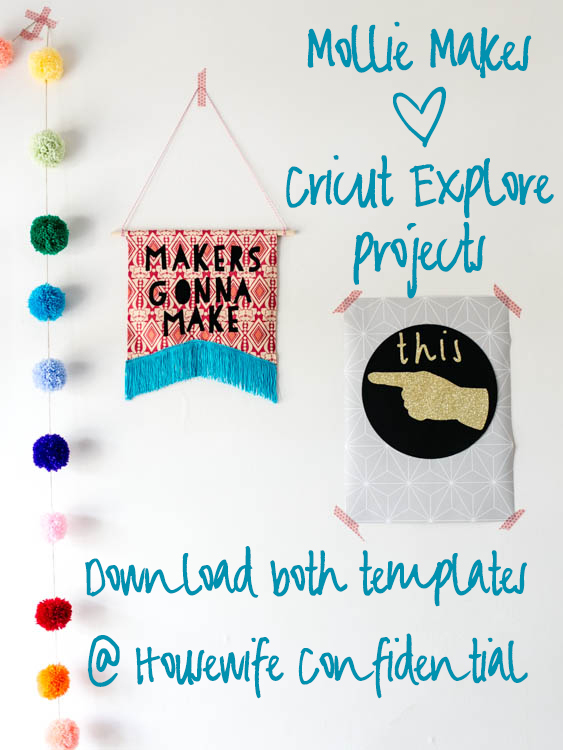 Load your project into the Cricut Design Space and add a pennant from the image library. Size the project to fill the cutting mat / match the size of fabric you are using. Cut two banners using the Cricut Explore, one from your background fabric and one from the interfacing. Cut the lettering using the Cricut Explore. Follow the interfacing instructions to iron it onto the back of your background fabric. 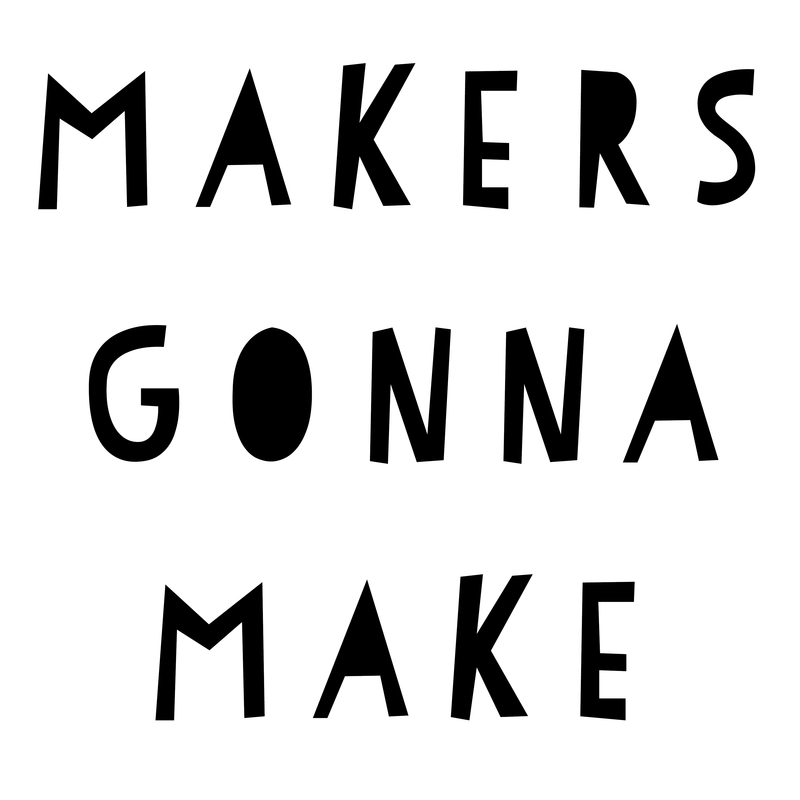 Use the glue stick to position the lettering on the background fabric. Sew around each letter using a zigzag stitch. Pin a tunnel at the top of the banner for the dowelling and sew along the seam. Pin your trimmings along the bottom edges and carefully top stitch them on. Be really careful not to catch the ends of the fringing if you’re using it. Drill holes in your stick for the string or simply tie it around the ends and secure with a blob of glue. 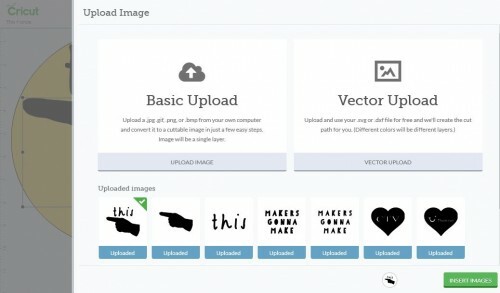 Load your project into the Cricut Design Space and add a circle from the image library. Size the project to fill the cutting mat / match the size of paper / card you are using. Cut each of the elements and carefully remove them from the cutting mat (turn the mat upside down and peel it away from the paper / card to ensure it doesn’t curl). I used one of the tools to lift the letters off the mat as they are quite delicate. Cut you wallpaper backing to size and set it aside. Glue the lettering and hand onto the card circle. I use a glue stick as it won’t soak the paper and curl it like PVA could. Once you are happy with the main elements carefully glue them onto the wallpaper and leave to dry. Ohhh – this looks very interesting. I’m off to check out a Cricut. Thanks Kat for another lovely inspiration.